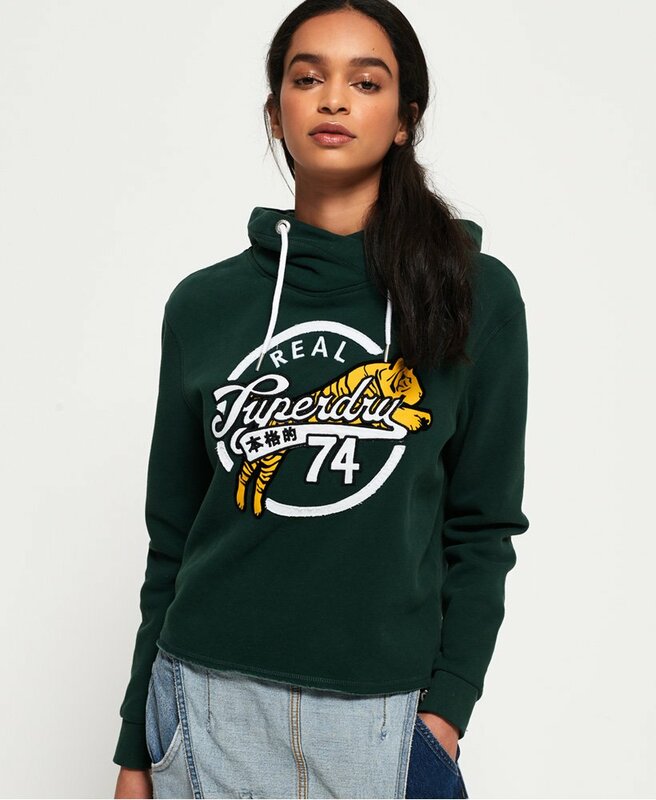 Superdry women’s Harper crop hoodie. This cropped hoodie features a drawcord adjustable, crossover hood, a large, applique Superdry logo across the chest and unfinished hem. The Harper crop hoodie also has elasticated cuffs and is finished with a Superdry logo tab on the hem.